Scout & Cellar wine tastings have ignited my gift of hospitality. I learned a long time ago that a smart hostess always keeps it simple. 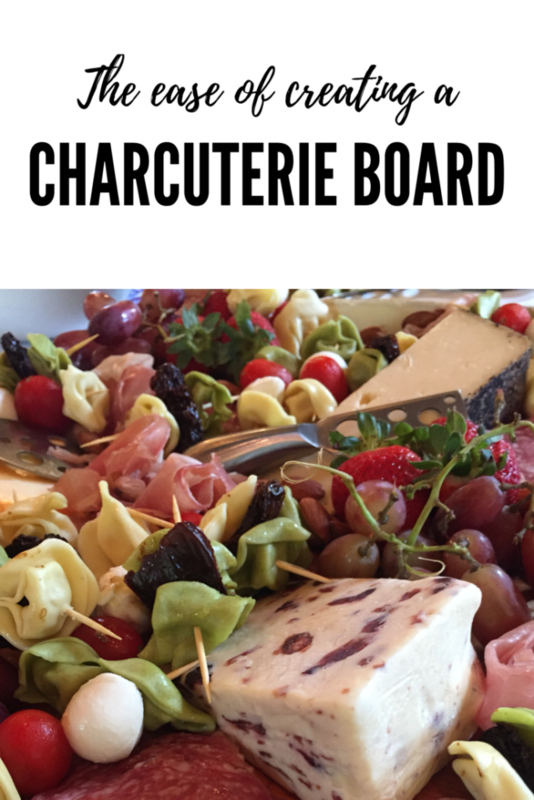 It was pure joy the day I discovered the ease of creating a charcuterie board. These boards filled with beautiful colors and a variety of flavors makes the hostess look like a culinary genius. I tend to gravitate towards meals and dishes that are simple, yet make a splash. The very reason I love creating charcuterie boards! As I throw random finger foods together the board becomes a culinary piece of art. It is really that easy! The ingredients to a good charcuterie board is up for interpretation. Techically, charcuterie is a french term for smoked, dry-cured or cooked meats. Charcuterie boards have become a fancy cheese board. A typical charcuterie board includes a variety of cheeses, nuts, honey, crackers, fresh and dried fruit, along with meats. My friend Robbie introduced me to the ultimate charcuterie board at a wine tasting she hosted. I learned to add tortillini screwers from her board. Her board was filled with wonderful ideas and definitely made a splash! 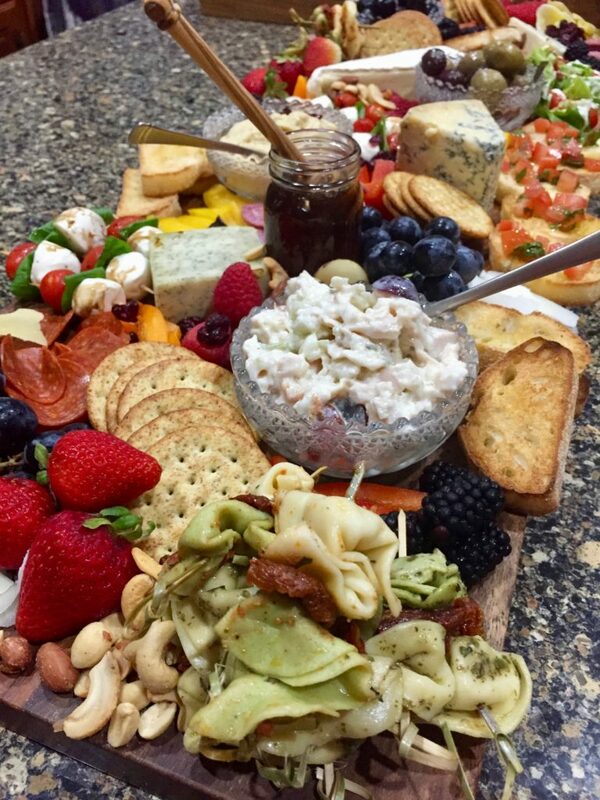 Robbie Birch’s ultimate charchuterie board on a beautifully hand crafted board her family creates! You want to start building on a wood cutting board. I have found a long skinny one works best for me. I’ve unsuccesfully tried smaller boards. Creating a fun board is like feeding a large family. The food just keeps mulitplying. I recommend my friend Robbie’s boards at The Birch Tree. Stayed tuned… she is creating a long one for me! Start builidng with cheese, an important element. Few foods go better with wine that cheese. Buy several different textures and flavors. Place the cheese selections in a procession ranging from soft to hard to mirror a wine tasting. Placing Harvati cheese at the top to pair well with a sauvignon blanc. Brie would be nice for chardonay. 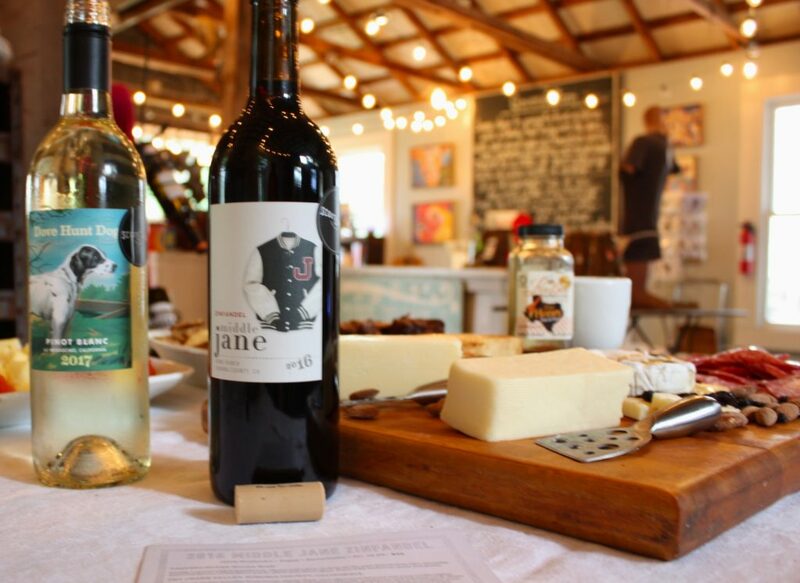 Red and white wines pairs well with gouda. Aged Cheddar would be nice with a Malbec. Smoked gouda is my favorite with a cab. A true charcuterie board will have an assortment of meats. Fresh summer sausage from a local meat market is a treat! The deli at your grocery store will work fine as well. I grab a few different sausages and prosciutto. Scatter the placement of the meats around the chesse, leaving room for additional layers of goodies. I do not want to overwhelm you. Keep it simple and have fun. I was proud of my humble first attempt. The more I practice the more elaborate mine become. I hope my interpratation of a charcuterie board has encouraged you to create one for your family and friends. It is an easy way to creatively offer the gift of hospitality. They will love it! You can’t have a great charcuterie board without a great bottle of wine or two! I am happy to help you select from the Scout & Cellar portfolio. The difference between a clean crafted wine and a bottle from your grocery store is the difference between a strawberry picked from a farm and one bought at the grocery. Let me help you discover wine the way natuer intended it. This entry was posted in Scout & Cellar Wine, The Coop, Uncategorized, Wellness and tagged biodynamic, Charcuterie Board, cheddar, Cheese, clean crafted wine, Flown The Coop, gouda, harvati, Lazy Bee Honey, local honey, organic, scout & cellar wine, smoked gouda, summer sausage, Tiffany Eckhardt, wine, wine consultant by tiffany. Bookmark the permalink.